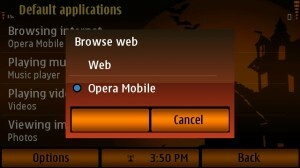 Post Tagged with: "Opera Mobile"
Opera have updated their Opera Mini to version 6.5 and Opera Mobile to version 11.5 for Symbian S60 users. This update brings new features like Data Usage view, easy bookmark action and more. 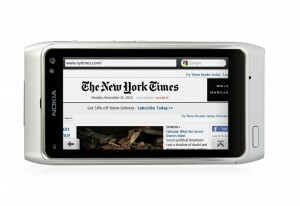 The problem on the older of Symbian is the lack of support to change default web browser to other applications. But on the latest Symbian^3 devices, much more on the released Nokia N8 and C7, you can now tweak the settings of your default web browser and media player to your preferred one. So whenever you open a link or play media files it will easily use the selected applications instead. Opera has a special treat to Symbian Series S60, 3rd and 5th edition, because today they announced that the beta of Opera Mobile 10.1 is available to all. New features will be found like the geolocation and accelerated speed. Nonetheless, this Opera Mobile 10.1 is free and ready to download through your mobile web browser just navigate to m.opera.com/next. What’s new to Opera Mobile 10.1?